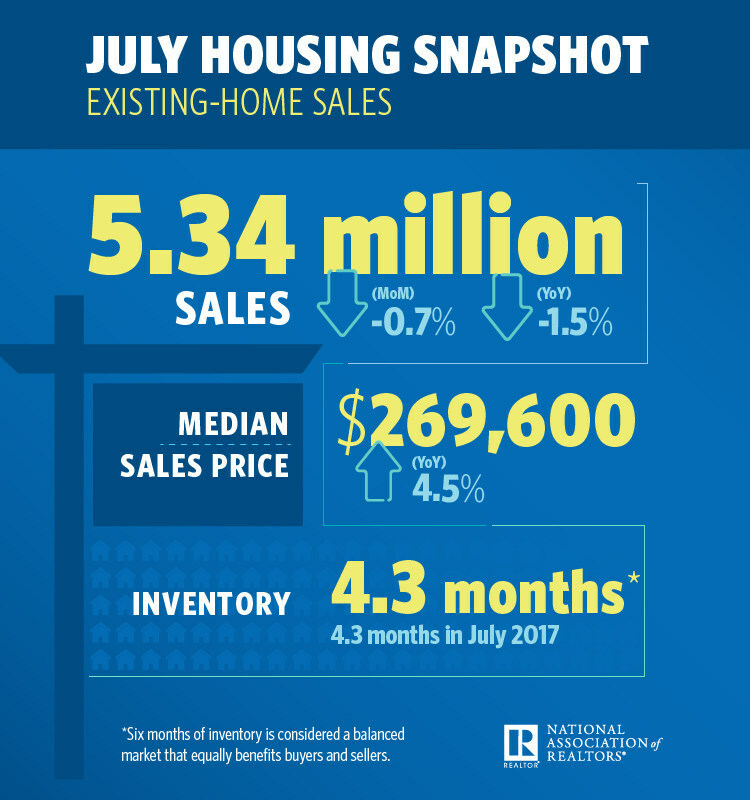 For the fourth month straight, existing-home sales slid, the National Association of REALTORS® (NAR) reports. Activity declined 0.7 percent in July, to 5.34 million, down 1.5 percent from the prior year. Inventory rewound, as well, down 0.5 percent to 1.92 million. Just one of the four major regions in the U.S. had higher sales: the West, increasing 4.4 percent to 1.19 million, at a median $392,700. Activity in the Midwest, Northeast and South slipped, with Midwest sales down 1.6 percent to 1.25 million, at a median $210,500; Northeast sales significantly down, 8.3 percent to 660,000, at a median $309,700; and sales in the South down 0.4 percent to 2.4 million. Currently, inventory is at a 4.3-month supply. In July, existing homes averaged 27 days on market, three days less than the prior year. All told, 55 percent of homes sold were on the market for less than one month. The median existing-home price for all house types (single-family, condo, co-op and townhome) was $269,600, a 4.5 percent increase from the prior year. The median price of an existing single-family home was $272,300, while the median price for an existing condo was $248,100. 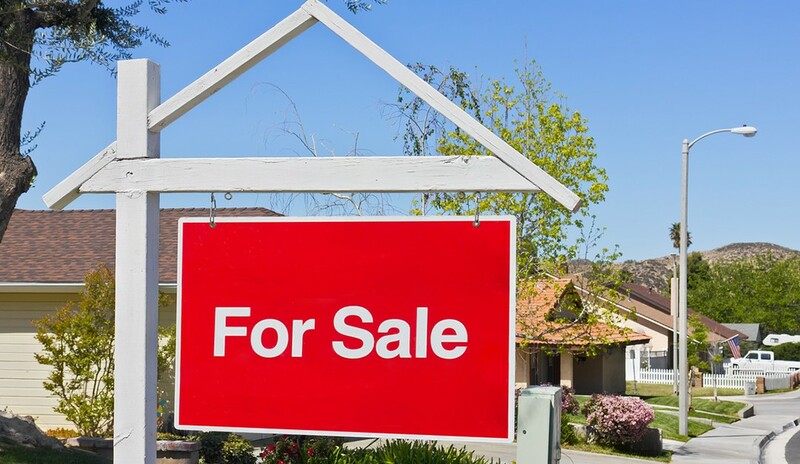 Existing-home sales in the single-family space came in at 4.75 million in July, a 0.2 percent decrease from the 4.76 million in June, and a 1.2 percent decrease from the 4.81 million the prior year. Existing-condo and -co-op sales came in at 590,000, a 4.8 percent decrease from June and a 3.3 percent decrease from the prior year. Twenty percent of existing-home sales in July were all-cash, with 13 percent by individual investors. Three percent were distressed. Additionally, first-time homebuyers comprised 32 percent of sales, an inch up from 31 percent in June.